Working over 10 sessions with year 5&6 at the local St. Francis of Assisi Primary School, the project explored the notion of identity in relation to the wide cultural diversity of the student body. The students collected stories from their own families and daily lives to capture how they experience their hybrid identity and how they negotiate these different parts of themselves. We also looked at how the city in itself is a dynamic hybrid space that is generated from the transforming communities they come from. The students explored these ideas of multiplicity and transformation through a series of mediums, these enabled a process of investigation that included ink printing, photographic research, analytical drawing, body mapping, and three-dimensional story telling. 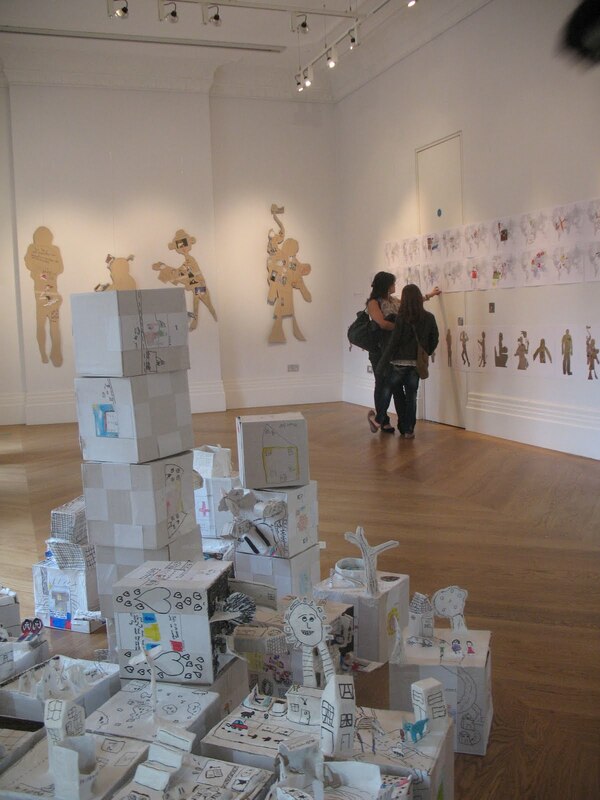 Taking inspiration from Mosaic Rooms’ previous exhibition Poetic Inspirations by artist Mona Saudi, the students looked at how printmaking and multifaceted sculptures can communicate different experiences and stories depending on one’s spatial relation to them. The students’ story boxes reveal when combined together, endless possibilities of intertwined hybrid narratives that give shape to new cities and invent new realities.